In March, my portfolio started to outperform all its benchmarks for the month and YTD. I disposed NetEase, but increased my stakes in Berkshire Hathaway and Altria. The mission for the short run is to build a more concentrated portfolio in order for the performance to further deviate from major indices. The US stock market (SPY) (DIA) just booked the best starting quarter in decades. The gross total return (assuming dividend reinvested) for the S&P 500 during Q1 was 13.6% after a 1.9% gain in March. Meanwhile, my total USD portfolio generated an almost 15% return on a time-weighted basis for the quarter. I certainly do not expect this type of quarterly return to continue. Actually, while a short-term bet is never my cup of tea, I would guess (if I have to) that the market would more likely go down than up for the short run. Of course, in case that indeed happens in the future, I would be more comfortable than now thanks to lower valuations and less optimism in the market. My portfolio had a small gain of 2.9% in March compared to 7%+ in January and 3%+ in February. The market has been definitely losing its steam, and so has my portfolio, which is inevitable and should not be cared for by long-term investors. Despite the lowest monthly return for the year, the greatest significance of March is that my portfolio started to outperform all its benchmarks for the month and YTD. 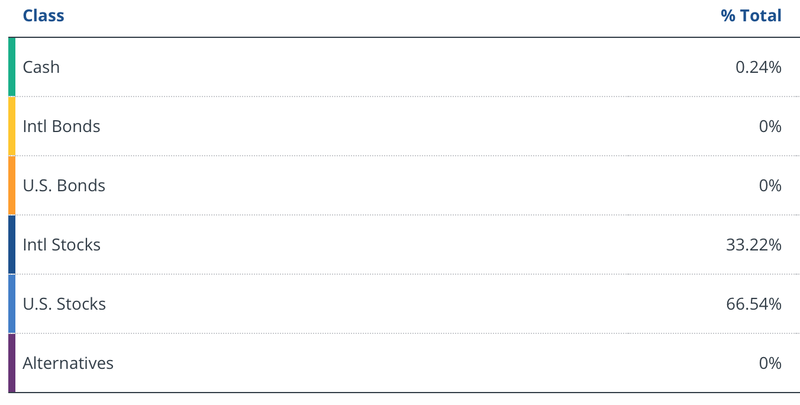 Again, I would like to point out that the performance data of my portfolio (usually calculated by SigFig) includes all impacts from withholding taxes and trading fees, while the index data does not. Another point is that positions of recently underperforming Berkshire Hathaway (NYSE:BRK.A) (BRK.B) now comprise nearly 9% of my total portfolio. Source: Personal Capital; data as of 3/31/2019. As a result, my stock picking strategy should produce more alpha than the data below appears to when benchmarked against both equity indices and Warren Buffett's investment flagship. This means that, technically, I was actually able to outperform major indices even more if withholding taxes and trading costs are added back and that I outperformed Berkshire even more if the impact from Berkshire's stock in the portfolio is removed. As I indicated before, my most admired benchmark is the Berkshire Hathaway stock, while the most appropriate one in my view would be the MSCI World Equity. According to SigFig, my current portfolio risk (i.e., beta) is 0.8 compared to the S&P 500. This is another advantage of my investment approach - the ability to achieve superior returns with less short-term volatility. My patience with NetEase (NTES) appears to have run out in March. With the mission of building a more concentrated portfolio and considering the fundamental deterioration, I decided to sell my positions in NTES. As mentioned in my previous article, "In A World Full Of Numbers, These Non-Numeric Factors That Matter More," NetEase looks like a quality trap, which I, unfortunately, fell into. NetEase develops and operates online PC and mobile games, advertising services, email services and e-commerce platforms in China. Despite the previously superior ROIC and decent growth rate of the company, none of its business lines possesses absolute market leadership. In the meantime, it is widely recognized that the Chinese Internet sector means quite a lot of competition, uncertainties, and even self-disruptions. Although NetEase is one of the largest video game companies in the world, it is by no means a wide moat stock, facing regulatory uncertainties as well as rivalries from Tencent (OTCPK:TCEHY, OTCPK:TCTZF) and other aggressive disruptors. The strategic focus at the company drifted from portals to gaming and to high-CapEx e-commerce, and from domestic only to more international. Until the story proves to work out well for shareholders, I would like to play defensive on NTES. In March, I increased my stakes in Berkshire Hathaway and Altria (MO) in light of the favorable risk/reward ratios. Much more attractive value somewhere else, which requires me to sell the stake in some relatively less attractive business to fund the purchase. My short-term mission of building a more concentrated portfolio in order to deviate from major indices in terms of performance has been propelling the need to search for more such situations (as above). I think that in the near future you would see more Situation 2 occurring than 1 (more details to come in the next section). Certainly, if you are familiar with my investment strategy, you would by now have recalled one of the pillars called "doing less." Therefore, in terms of this portfolio restructuring, the process should be a slow move. One advantage of "doing less" is lower trading cost. According to SigFig, the percentage of the TTM fees out of my total portfolio value is 0.12%. In the long term, I would like to reduce this number to below 0.1%. As you can see below, I am currently all-in equities. The split between US and overseas stocks is roughly 2:1, which I am comfortable with at the moment. In the medium term, I may want to move some international exposures to my international accounts in order to invest directly in those companies (rather than through ADRs or OTC). Compared to the S&P 500, my portfolio overweights consumer defensive and underweights industrials and technology. A lot of long-term winners have historically come from the consumer defensive sector, while the technology sector has proven to been value-destructive to investors and a typical industrials business is generally cyclical and capital-intense - two characteristics that I dislike when picking stocks. You may have already noticed that I still do not own any utilities, basic materials, telecom or energy. This is because they are highly cyclical, capital-intense, vulnerable to competition (i.e, narrow or no moat), or a combination of such traits. Please note that the weighting of financial services (being the largest) is simply due to the holding of Berkshire Hathaway. Moving forward, I am hoping for more weighting in healthcare and consumer defensive and less in industrials and technology. My portfolio is significantly over-concentrated in large caps. To leverage the so-called size advantage, I should deploy more fund capital into smaller companies. Starting with this edition of the portfolio review, I am adding the following table showing the position-weighted fundamentals and valuation of my entire portfolio. Per the figures above, I believe that my portfolio owns pretty decent businesses with superior returns on capital, high profitability, strong cash flow, and current financial strength. What concerns me (along with many other value/quality investors) is the unattractive valuation of the overall market worldwide, partially reflected by the average EV/EBIT of 23.3x even for the group of top-quality companies in my portfolio. March is a light-volume month in terms of the earnings release. The majority of the reported results among my portfolio companies for the month came from overseas. Coincidentally, the equal-weighted average of business growths reported during March is the same as those in February - 9% in terms of revenue and 6% in terms of EPS. When it comes to investment decision-making, I cannot emphasize enough on how important long-term focus is and how useless short-term results are. However, I believe that it would be helpful to track business progression at least from quarter to quarter (or on a half-year basis regarding companies in some countries) for the sake of better understanding of business economics and industry dynamics. In my view, the underlying growth rate of my portfolio is healthy, especially on the revenue side. March is the busy season for dividend payers in my portfolio. There are also quite a few dividend raises happening during the period. Please note that it is not uncommon for foreign companies to have more fluctuation in terms of dividend payouts. Hence, a dividend decrease (or "dividend cut" in US companies' terms) is not necessarily bad news (certainly not good news either) as it is for US companies. In the long term, I am anticipating the total dividend payout to grow at around 10-12% annually. In my opinion, long-term investors should pay more attention to the dividend growth prospect than the current dividend yield. It has been a great month and quarter for my investment strategy to perform. However, although this is a monthly/quarterly review, I would like to again emphasize the significance of buying stocks for the long run with regards to investment success. 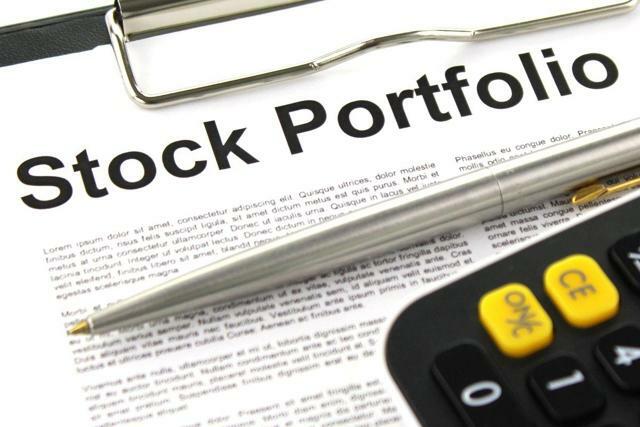 The immediate task for me is to solve the issue in terms of too many stock holdings at current and build a more concentrated portfolio in hopes to outperform by a wider margin. I will provide updates on this subject in the next couple of monthly reviews.